I wrote about this apartment before: large and open plan, an old car workshop with a great roof structure. The problem was, it was too white. This picture, from this morning, came out very nicely, but it deceives: the colour on the left is actually green-grey and the colour on the right is almost Wedgwood blue. Still, it gives a good impression of the scheme, which is complemented by a two rectangles of vivid dark blue (see last photo). I think it will look great with client's antique and dark wooden furniture. This is truer to the real colour: more green than grey. 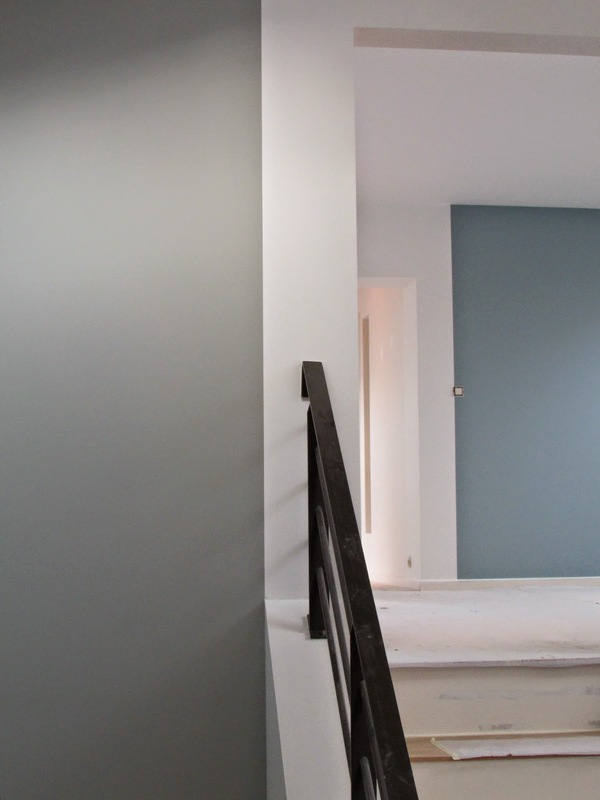 The house has a lot of arches and angles: we decided that the three colours would be painted in such a way that they either stop mid-wall (see this photo) or that they create additional 'pillars' to maintain a visual balance. 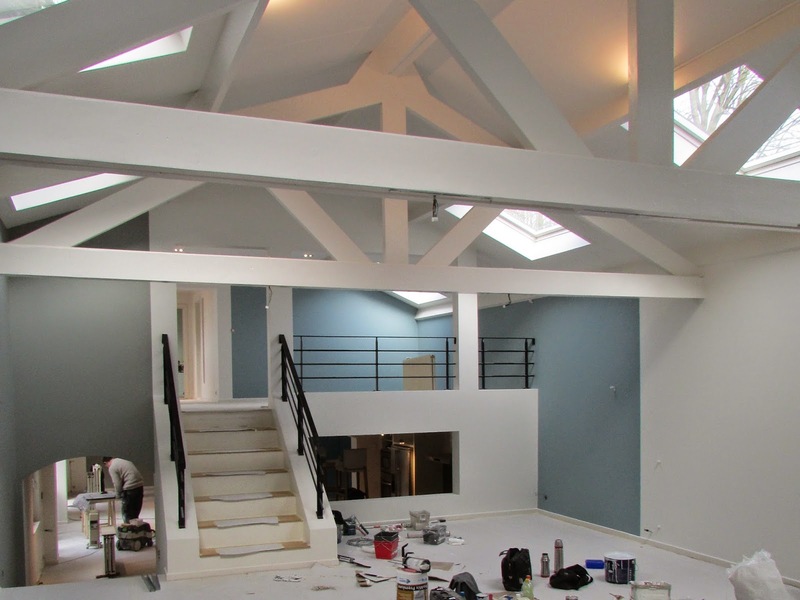 See the next picture, where we left a band of white next to the grey to create an arch leading up to the mezzanine. 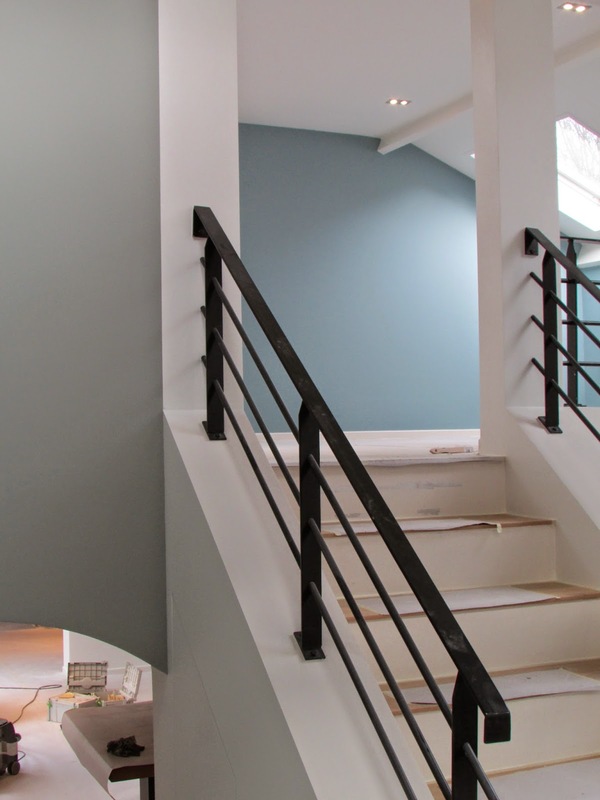 Once the painting is done, a joiner will create a room divider in dark blue.